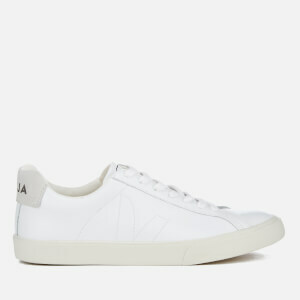 White mesh low top trainers from Veja. 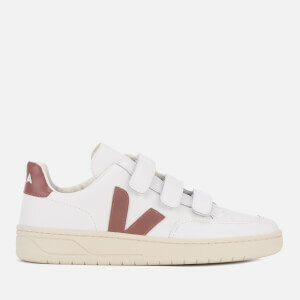 Celebrating the brand's 10th anniversary, the 'V-10' men’s sneakers utilise sustainable materials to create a sleek upper made from B-mesh which is made from plastic bottles. 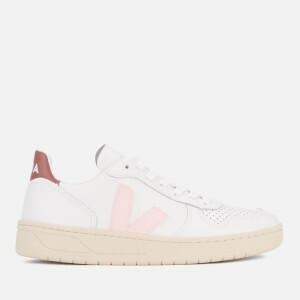 Showcasing a classic design, the trainers feature a rounded toe with contrasting suede details, a lace-up fastening and brand-embossed tongue. 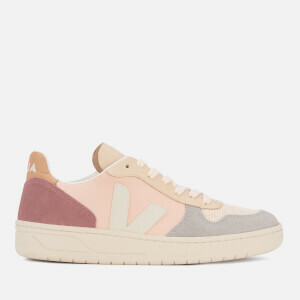 Upper: Textile/Suede. Lining: Organic Cotton/Textile. Sole: Rubber.